The perfect gift to let someone know you are thinking of them, the Spathiphyllum is the most commonly sent green plant by florists. Known for its glossy leaves and distinctive white flowers this plant does well indoors and is very easy to care for. 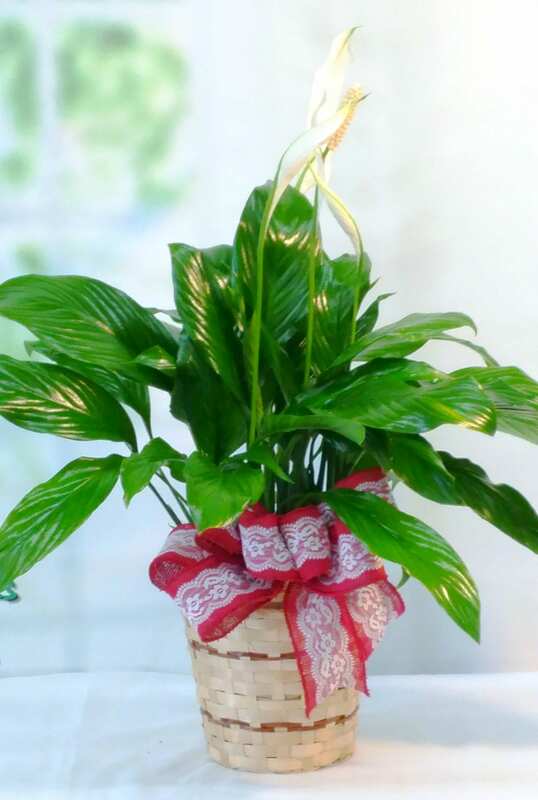 Our 6″ Spathiphyllum comes in a wicker basket measuring 7″ high x 7″ diameter.